As far as jailbreakers are concerned, Cydia is the focal point of the entire experience. The go-to hub for tweaks, themes and other niceties, it’s considered the central portal, the nucleus of the entire operation. But as many have begun to discover with this latest Pangu8 untether, Cydia doesn’t operate alone, and in actual fact, there are a number of key apps and services driving devices that have been jailbroken. 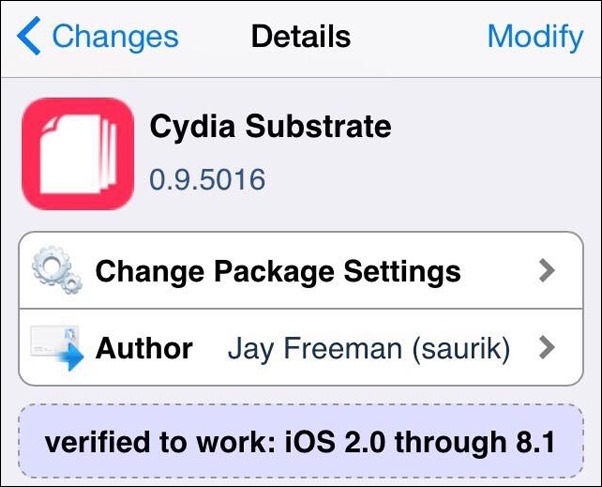 Cydia Substrate, also developed and maintained by Cydia author Saurik, is an essential piece of the jigsaw, and after a couple of major updates already since Pangu arrived ten days ago, version 0.9.5016 brings fixes for jailbreakers running older versions of iOS. Version 0.9.5016 fixes a bug on iOS versions before 4.3 (versions 0.9.5014 and 0.9.5015 caused many devices to spontaneously reboot after installation and then not boot again without first disabling Substrate with volume up). It’s probably worth mentioning that unfortunately, this version doesn’t offer anything to those using Pangu on iOS 8, but only those who encountered booting issues on versions prior to iOS 4.3 after the last few editions of Substrate. As such, the Passcode bug is still prevalent, and given that there hasn’t been a proper fix for it yet, is perhaps more complicated than many had assumed. Although many of our much-loved tweaks have been updated and are working like a charm, this jailbreak is still very much a work in progress, and it’ll probably take several updates and fixes across the board before we’re anywhere near the levels of the previous Pangu jailbreak for iOS 7.1.x. Still, we’ll be following the progress very closely indeed, so stay tuned to our coverage for more jailbreak-related reports and updates as and when they arrive. 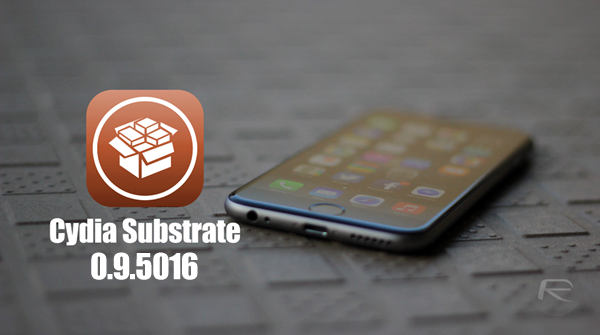 Oh, and updating to the latest version of Cydia Substrate, for those unsure, is relatively simple. Just fire up the Cydia app, hit the Changes tab, and you should see version 0.9.5016 right there. If it doesn’t show up right away, you can scan for it by hitting the Refresh button, and once installed, ensure you reboot your device before continuing normal use. I’m not having that issue. The update did fix my issue of Springboard crashing when installing new apps though. Keep it up Saurik, Pangu and all JB devs and contributors! Any word on a Pangu+ Cydia install yet? Is anyone else having issues installing JellyLock7? I love the tweak but springboard instantly crashes when resprung after installation. I know it’s working for some people and I really want it.